Are you a closet roller derby fan who would happily trade their rollerblades for retro skates? Have you been secretly in mourning since the Roxy closed four years ago? 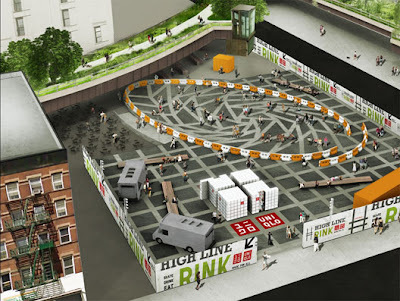 Then break out your knee high socks and hightail it to Manhattan’s newest pop-up attraction, the High Line Rink which opens Thursday at West 30th Street and 10th Avenue. New York City is bringing roller-skating back in style replete with live-DJ tunes, pizza, and ice cream sandwiches from next-door Lot on Tap’s food trucks. You’re certain to be in good company on this 8,000 square-foot outdoor arena, and if you’re one of the first 500 people to arrive on Thursday, Friday or Saturday, sponsor UNIQLO pays for your admission. Take your loved ones on a stroll down the High Line, “refuel” with a soft drink or an artisanal brew at The Lot on Tap, and go for a spin around the rink. You’ll be supporting the High Line, too: a portion of the admission charge goes towards its maintenance and upkeep. Regular ticket prices are $10 for kids and $12 for adults, including skate rental. The rink will stay open until September 26, opening at 11am daily until 10pm during the week, and until 11pm Thursday through Saturday. What a cool spot! I may be thirty eight nearly thirty nine, but Roller Skating i'm in. Next time I head to NY the skates will be packed! Thanks for sharing. 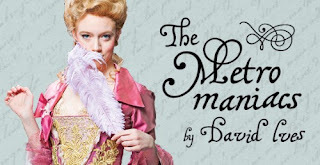 Love the blog.